The apostle Paul uses more unique words in his writings than any other Bible author. Such is the case with the verb anazopureo, translated as “stir up” in our text for today, which is a compound of three Greek terms. Ana, a primary preposition and adverb, is most often translated as “again” or “each,” depending on its context. Zoon is a frequently used noun meaning “life” or “living creature.” And pur is a root word meaning “fire” or “fiery.” Since it is only used this one time in the Scriptures, the translation is a bit difficult to coin an adequate English word or phrase for. “Bring the fire alive (again)” is certainly implied from the syntax. “Make each fire alive” would emphasize the implied multiplicity of gifts. The tense indicates an ongoing process, and the direct object (the gift) seems to emphasize the need for Timothy’s action—since God gave Timothy the special leadership gift(s) when Paul personally ordained Timothy. Paul’s first letter to Timothy implies that the young disciple had allowed the “fire” to grow weak in his ministry. Difficulty, discouragement, or doubt can attack anyone. Apathy, pessimism, worry, or lack of confidence can spin into lack of support or encouragement from friends or coworkers. Whatever the cause, the results are the same. 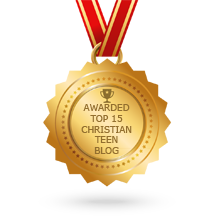 This entry was posted in A CLICK A BLESSING TODAY, CHRISTIAN NUGGETS and tagged The Flame of Gifts. Bookmark the permalink.